The boys are really enjoying these block colour Bento Babies lunches, they loved the yellow theme last week and we tried out two red versions this week. First they explored a ice cube tray tasting platter, filled with 10 different varieties of red coloured food. They tried everything, finished everything and I am definitely going to try this ice cube tray idea again. It's a brilliant way to get them trying something new. Rather than being presented with a full portion of an unknown food, they were able to pick and choose what they ate next and happily shared! For preschool, I made Sammy a red themed lunch the next day and again I collected him to find an empty box. This week I joined in a Twitter party (where you all use the same grouped # and discuss one topic for a set period of time) discussing lunch box tips (#lunchboxtips) and my Bento Babies suggestion won me one of the 2 prizes on offer by the sponsor Walkers Crisps! Thank you very much. It was fantastic to see so many people tweet about my Bento Babies feature as their suggestion for new lunch box ideas! We are off to a Circus tomorrow for Sammy's actual Birthday and my mother in law is in charge of the picnic! She does read my blog and says she is feeling the pressure! But don't worry there is no need for a Circus theme Bento lunch! I have a few ideas for Sammy's party that follow on form the Bento principle so check back in next week and see. 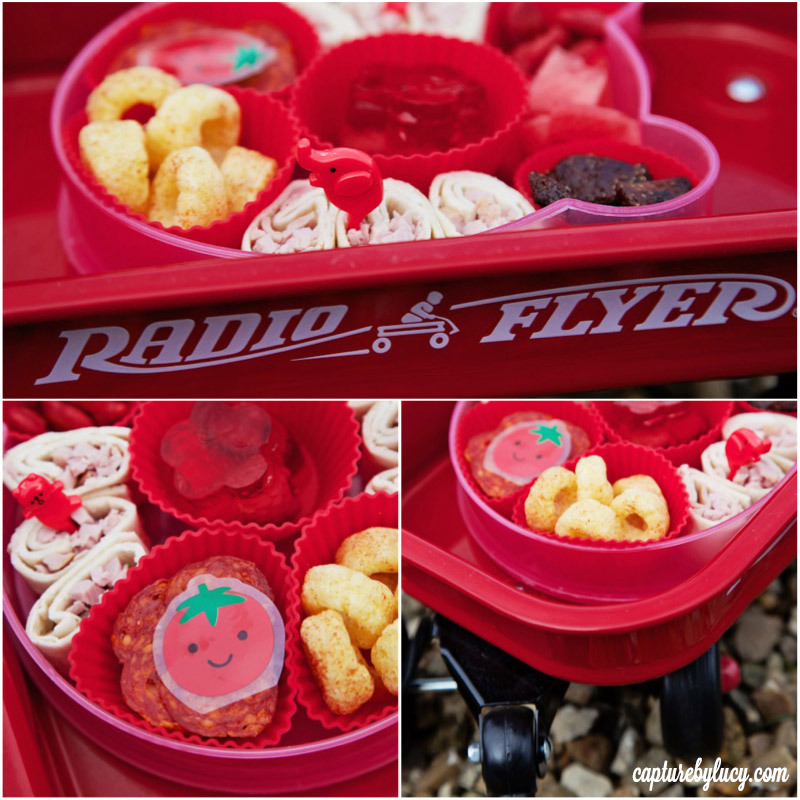 I love seeing your ideas so please link them up here so we can share them with more parents looking for ideas to liven up their children's lunches. ps don't forget to vote in the Loved by Parents Blogger of the Year Award. I am one of just 6 blogs shortlisted in this National Award and am over the moon. I'm the first one on the list and would love your vote!